So much was lost during Liberia’s coup and 2 civil wars. Much of it can be seen by traveling around – bombed buildings left in disheveled states, lack of basic needs like electricity and running water for most of the country – but some of it is not as tangible. Things like dignity and pride in who you are can not be as easily measured or recorded. But these parts of a community need to be healed just as much as physical wounds. Sometimes regaining dignity and a sense of self worth needs to be healed even before we can heal physical wounds because people do not value themselves enough seek healthcare in the early stages when diseases are treatable. 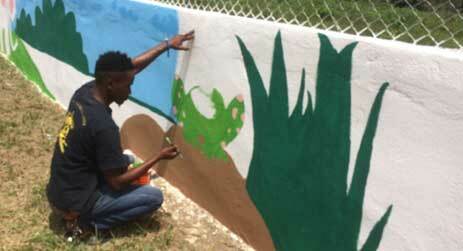 This was some of the motivation behind bringing in a pair of talented artists to help the community of SackieGbomoh paint a mural around the first playground GT built. 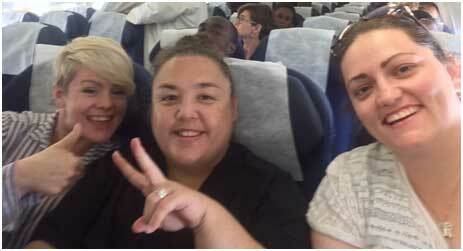 It was an amazing time of renewal, celebration and discovery. 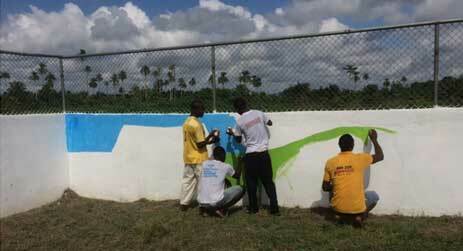 Willie and Alvin helping paint the mural around the first playground. 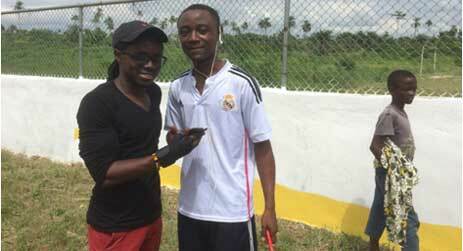 These 2 young men have helped with all 4 playground projects that GT has done in Liberia! We couldn’t do it without you guys! 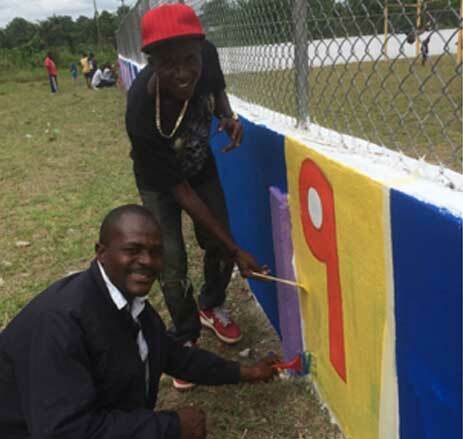 Unleashing artistic talents in the village of SackieGbomoh – Because art supplies are expensive, most schools in Liberia don’t have art classes. Having community projects like this help people realize talents they didn’t know they had! 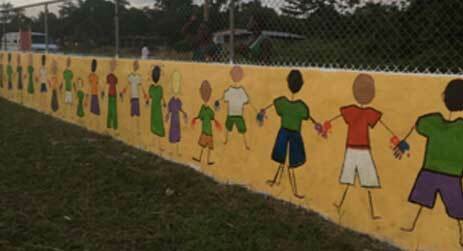 Community leaders and a local rap stars coming together to help beautify the wall around the first playground. The design incorporates teaching tools for the local school to use the mural as a fun way to teach numbers and letters to the students. Getting the kids involved – all the hands on the mural children were made by dipping the local children’s hands in paint so they could remember being a part of the project.